When it comes to nutrition, Coca-Cola and other beverage companies have been under a lot of pressure to justify the nutritional content of their beverages. 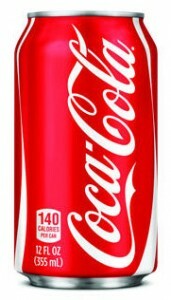 Coca-Cola nutrition values and the calories in cola are factors that Coca-Cola tries to keep in control as they strive to improve their products. However, they are battling against an American population that drinks an average of 399 servings of cola products per year. Of these cola products, 50% are Coca-Cola brands, and 63% of those are Coca-Cola Classic. That comes out to 125.7 Classic Coke servings per person, per year. With 39 grams of sugar per serving, the average American consumes 4.9 kilograms per year or 10.8 pounds. Multiply that by 314 million Americans and you get around 1.75 million tons of sugar. For additional information about the nutrition value of Coca-Cola and other related products, please visit the Nutrition:Connection by Coca-Cola.